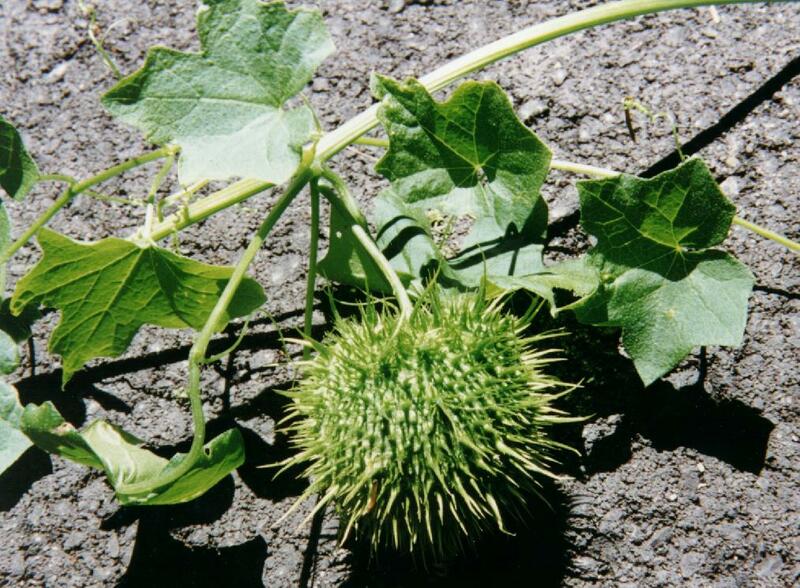 A native plant in the Gourd family, this is a common trailing or climbing vine wuth small green-white flowers. The distinctive thing about this plant is the fruit, a baseball sized spiny seedcase that turns from green to brown as it ripens. Indians used the plant for medicinal purposes, but since it was used for venereal disease and baldness, it is unclear if it was effective. The root is very bitter, and was used both for tanning leather, and to stupify fish when crushed and put in streams.